& other items of copperware at the highest quality. Newlyn Tinning Open Studio Workshop Sales & Service drop in. 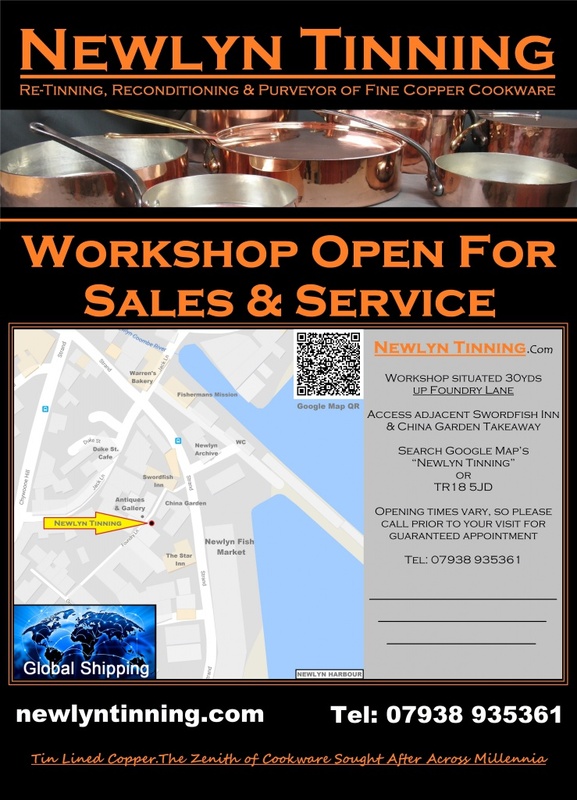 Come and visit Newlyn Tinning with your copper cookware in need of reconditioning & to peruse my fine Batterie de cuisine of finished pieces ready for working service or to reserve unlisted stock & have them especially commissioned. Please visit Payments & Shipping for further details. Workshop often open at other times so please feel free to pop by if in the area or call 07938 935361 to arrange a visit.